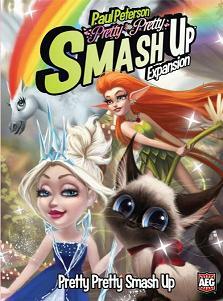 Pretty Pretty Smash Up brings four entirely new factions to the Smash Up game world. These adorable creatures are more than just pretty faces, they are powerful cards that will integrate seamlessly into your existing Smash Up sets. Get ready for Zombie Princesses, Robot Cats, and more!